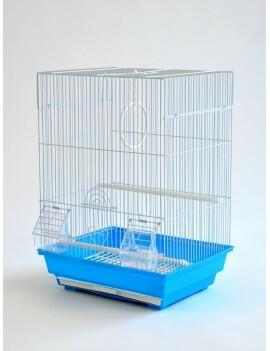 Different shape and style of small bird cages for different types of small birds and parrots. 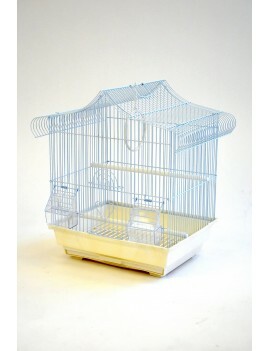 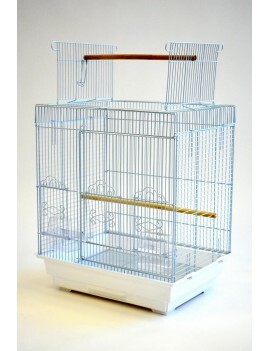 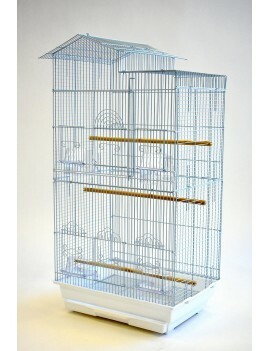 Square Flat Top Small Bird Cage with Outside Feeders for finch, canary, sisken, budgie, lovebird, etc. 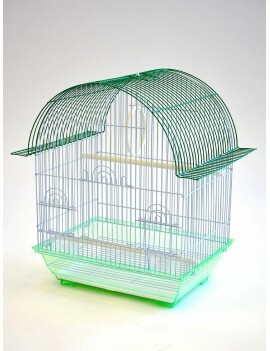 House Roof Style small bird cage with clear feeder hanging outside of the cage for small bird such as finch, canary, budgie, lovebird, etc. 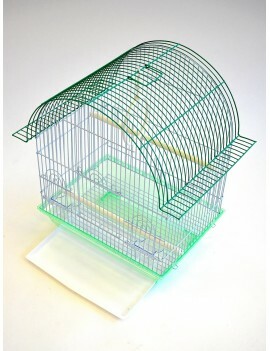 Dome top small bird cage with inside clear feeder for small bird like finch, canary, budgie, lovebird, etc. 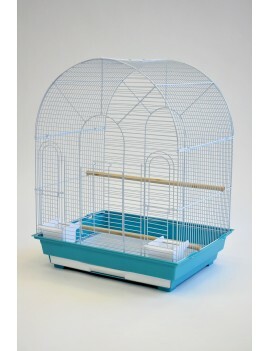 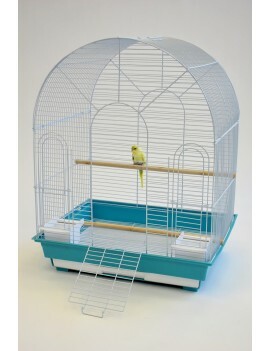 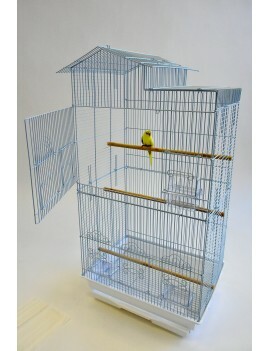 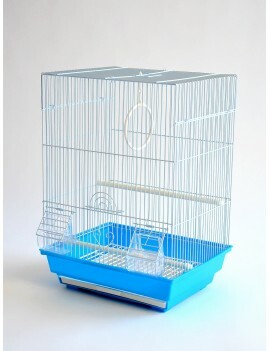 Tall House Style Small Bird Cage with big opening door for small bird and parrot such as finch, canary, budgie, lovebird, parrotlet, cockatiel, etc. 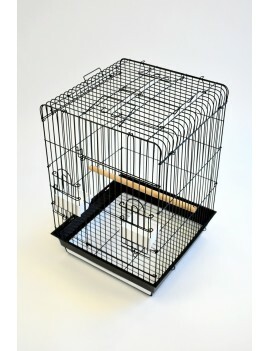 20"x15" Round Top Small Bird Cage for small birds. 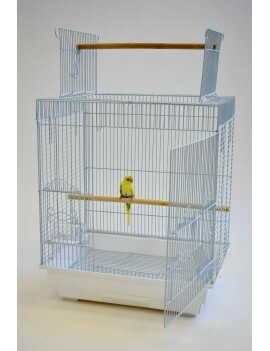 such as budgie, lovebird, cocktatiel, etc. 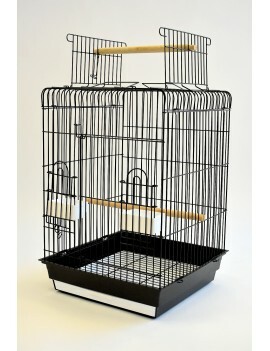 18"X18" Open Play Top Parrot Bird Cage with large opening door for medium parrot bird such as cockatiel, conure, quaker, etc.